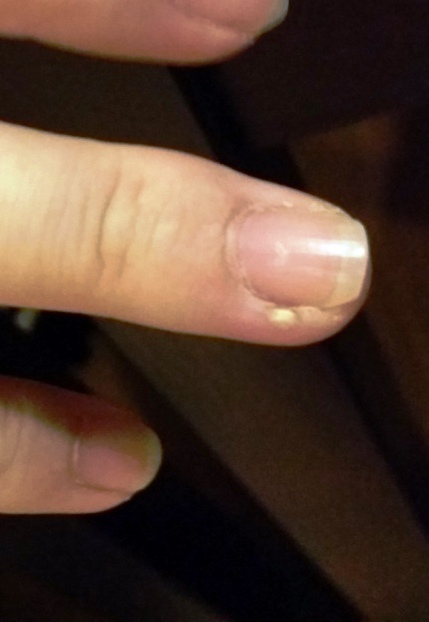 I had a small abscess on my finger recently. It was rather painful and was getting swollen with pus. I tried to ignore the pain by putting a plaster on it. After one day, it seemed to have gotten worse… It’s not a great pain but more like a thorn on the side kind of thing I guess. The picture don’t really show clearly the pus. 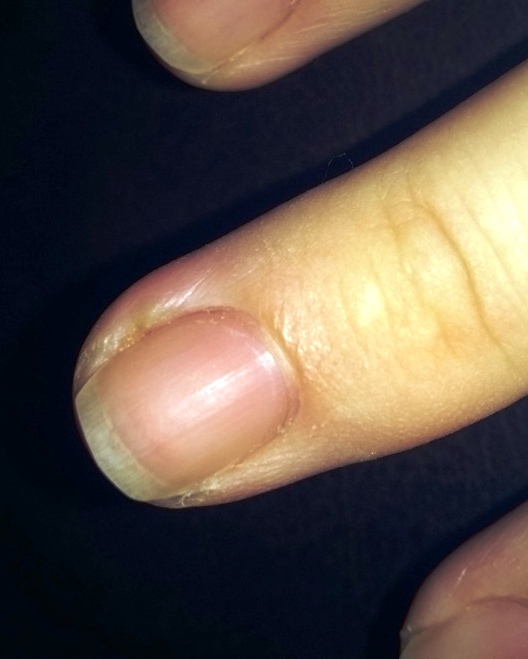 It’s right at the side of the fingernail. While bringing baby to see a Doctor, hubby took the opportunity to ask the Doc if he have any recommendation to cure my abscess. The doctor told us about this old school method. He say to wear a ‘ring’ over the finger. At first, I thought the doc was joking, but he was really serious about it and even tried to Google it for us… LOL (very nice guy). Had a nice chat with him. After that, hubby went off to hunt for the lime and went to work to create a ‘ring’ / ‘cap’ for my finger. 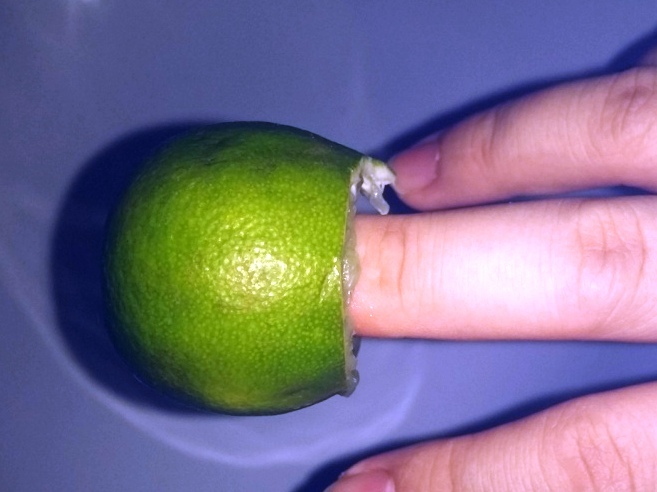 basically, he cut off the top of the lime and made a hole in the center of the lime. I patiently went about doing things with the little finger lime ‘cap’. Since we forgot to ask the Doc how long to wear it, we decided to only have it on for 30 mins. You won’t want to have it too long anyway, it was starting to hurt a bit after the 30 mins. I took it off and rinse it with water. I didn’t repeat the process again but waited for about 3 days. Interestingly, it was starting to show signs of healing. The swelling is slowly subsiding and the pus is turning solid… chinese call this healing as starting to ‘cook’ (don’t ask me why). I got hubby to help take this picture so that you can see the abscess more clearly. After a week, the pus got really solid and I basically peel it off… hehehe.